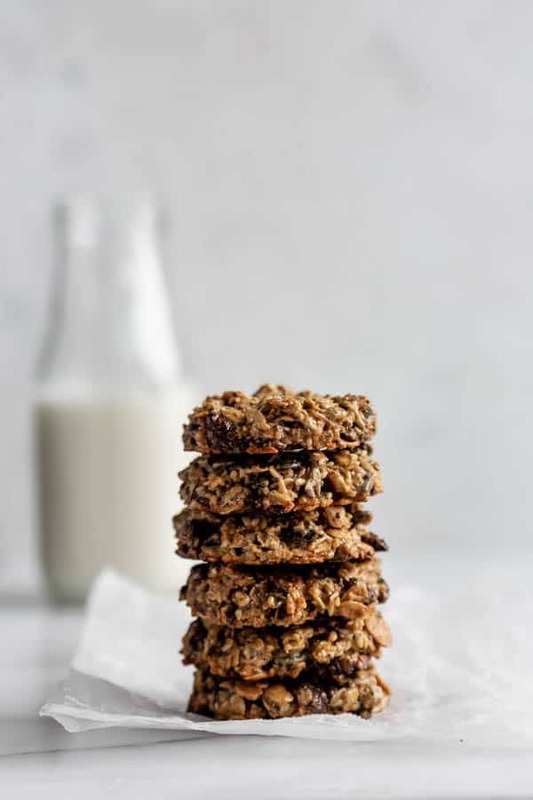 These cookies are loaded with nuts, seeds, oats and whole grains for a cookie that packs some serious health benefits. 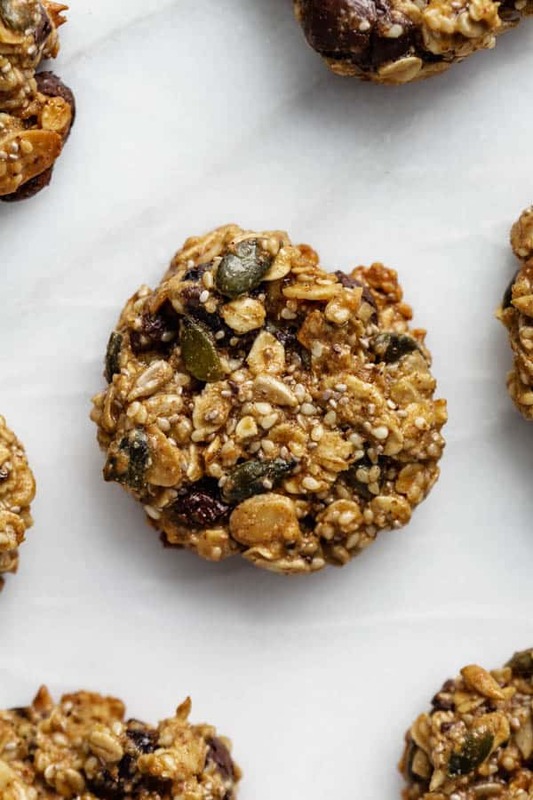 These are the healthiest breakfast cookies…ever! 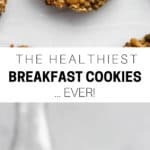 Now whether or not you believe this to actually be true, I think we can all agree that breakfast becomes a hella lot more important when there are COOKIES involved. That’s right my friends, it’s 2019 and I officially declare that cookies have their own food group in the breakfast category. Because if you start off your day with a cookie, you can be assured that you’re gonna have a great day! 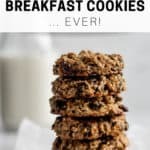 I call these cookies the healthiest breakfast cookies because I personally believe they are pretty darn healthy as far as a cookie can go. The healthiest breakfast cookies have also got a permanent place on my weekly meal prep rotation. 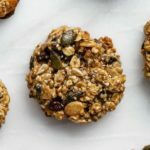 I love to prepare a batch of these healthy seedy cookies on a Sunday and them them ready to go for the rest of the week! See? Pretty healthy stuff we got going on here right? I also call these a breakfast cookie, though truth be told I eat these for my afternoon snack. and for dessert. And sometimes for lunch…oh and for dinner. They’re basically an any day, any time sort of cookie. So where to start with the health benefits of seeds? 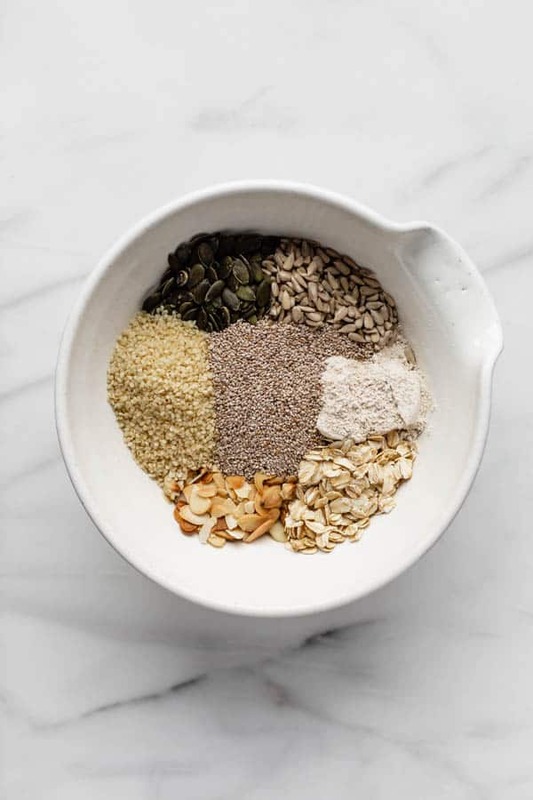 Firstly, these cookies have not one, not two, not three, but four different types of seeds – sunflower, pumpkin, chia and sesame. Seeds are a great source of protein, healthy fats and provide many micronutrients needed and that are missing in many western diets. 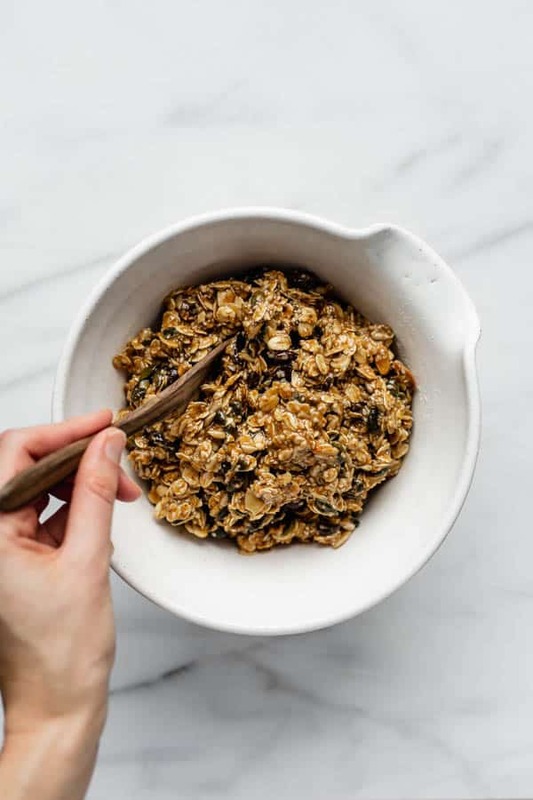 Chia seeds are know for their fiber and omega-3 fatty acids, pumpkin and sunflower seeds have been shown to reduce the risk of breast cancer, and sesame seeds are known to regulate levels of estrogen. Who knew simply adding these seeds into your diet could improve your health to such a great level?! These cookies are made with an assortment of different nuts and seeds, so they are SO versatile. 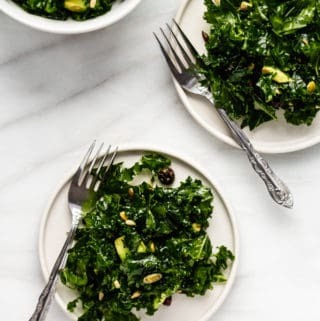 You can essentially use any type of nuts and seeds you like or have on hand. You can also omit any nuts and seeds you may not want in the cookies and just add more of another. These cookies can easily be made vegan by substituting the egg with a flax egg. Simply mix 1 tbsp of ground flax seeds in 3 tbsp of water and let it sit to gel for 5 minutes. Then pour this into the mixture as you would with the egg. 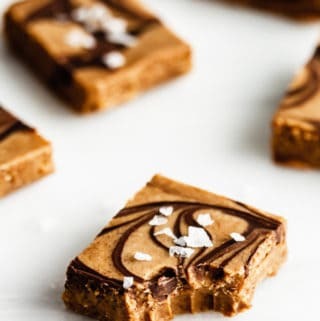 The nut butters in this recipe can also be swapped out for any nut or seed butter you enjoy. I like a mix of tahini and almond butter, but peanut butter, cashew butter or sunflower seed butter would all be great choices too! Next comes the dried fruit and chocolate. Again, add it if you like it, leave it if you don’t! I use some naturally dried cranberries (without all the added sugar) and 70% dark chocolate chips. Dried blueberries or dried cherries would also be delicious additions to these cookies! These are the BEST healthy breakfast cookie ever! 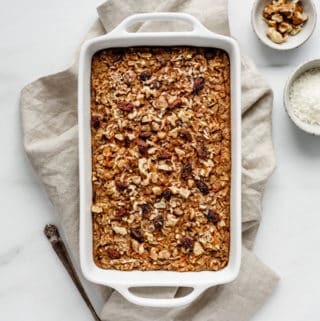 Preheat the oven to 350 degrees F and line a baking pan with parchment paper. Mix all the wet ingredients together in a separate bowl. To make a flax egg mix 1 tbsp ground flax seed with 3 tbsp of water. Let sit to gel for 5 minutes then use as you would an egg. Can you substitute bananas or applesauce for the eggs? Thanks ? Cookies for breakfast? Count me in! These look delicious Jess! Yes!! Thank you so much Anna! These look so crunchy and delicious ? Thanks so much Bianca! These are my FAVOURITE! Does it add a different flavor or texture vs. using all butter? 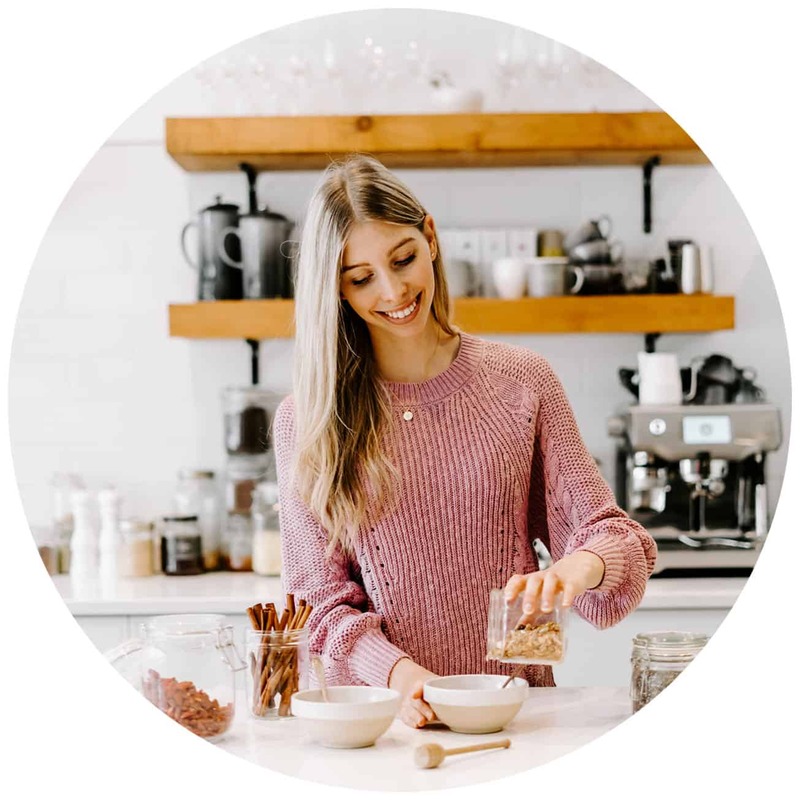 Hi Emily, the tahini tastes like….tahini! Same texture as a nut butter but the flavour is from sesame. Cookies for breakfast sound PERFECT. 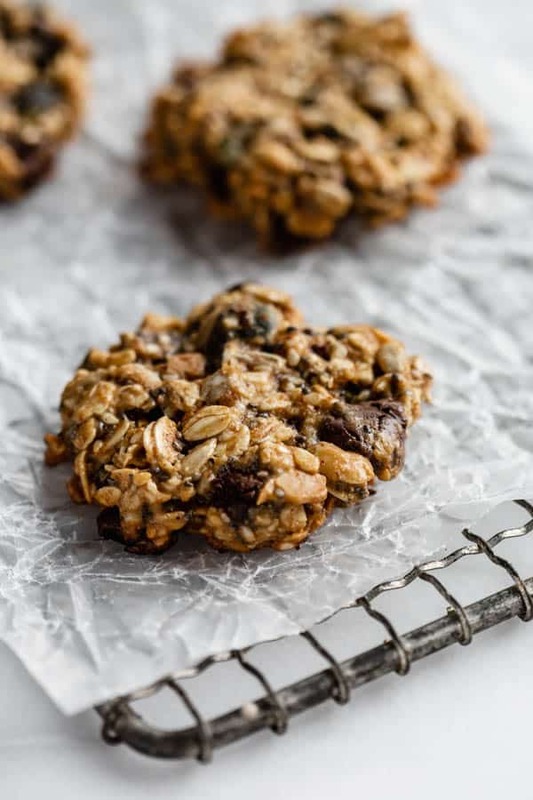 I love a delicious cookie that’s loaded with oats, nuts, and seeds! Definitely will have to try these out with flax eggs. They look like a winner to me!